Following the failure of the Note 7 and the series of events that led to that failure, Samsung is set to bounce back with the release of the new Samsung Galaxy Note 8. After the successful release of the Samsung Galaxy S8 in March 2017, they are have finally staged a comeback for the Samsung Galaxy Note series. “I will bring back a better, safer and very innovative Note 8,” Koh said earlier in 2017. So we can boldly assume, as Koh indicated, that the new Samsung Note 8 is the best Note device yet. The device was publicly launched on August 23, 2017, at a major unpacked event in New York. As with so many things, the Note8 Galaxy takes its cues from the Samsung S8 which was earlier released. And you won’t be disappointed with the mammoth specs that the new device has to offer. With the Galaxy Note8 in your hand, bigger things are just waiting to happen. Sit tight as we dive into the details of the latest gadget from Samsung. ⇒ This device sports a super capacitive touch screen with a display size of 6.3 inches. ⇒ It has a resolution of 1440 x 2960 pixels. It comes in two different models as single SIM (nano SIM) and dual SIM (nano SIM and dual standby). ⇒ The phone runs on Android operating system V7.1.1 and It is powered by a non-removable 3300MAH Li-Lon battery. ⇒ Samsung galaxy note 8 connectivity features include GPS, WI-FI, blue tooth and NFS. ⇒ The phone is water resistant up to 30minutes of emmersion in 1.5 meters water depth. ⇒ It has an internal storage of 64GB RAM with an associated 6GB RAM. The memory can be expanded up to 256GB using a micro-SD. ⇒ For single SIM model, it has a dedicated slot. The dual SIM model, the micro-SD uses the SIM 2 slot. ⇒ It also sports the coveted Iris scanner alongside a fingerprint reader located close to the dual 12Mp rear cameras. ⇒ Its sound alerts features involve vibration with WAV ringtones and loudspeakers. In summary, the Note 8 gives Apples iPhone plus series a run for their money. The Samsung Galaxy Note 8 smartphone is an upgrade to its predecessors, the Note 5 and Note 4 respectively. The smartphone, as you would expect, is beautiful, sleek and slim; much like a bigger version of the S8. Samsung Galaxy Note 8 packs a large 6.3-inch Super AMOLED pressure-sensitive QHD resolution curved display dual edge screen(like the s7 edge) with 1,024 pressure points. The large display size is due to the near bezel-less design of the device, a new innovation that first shipped with the S8. This display technology is known as the Infinity display, and it features an edge-to-edge screen, near bezel-less display and full frontal glass. This givies you more screen for a bigger view and more space to use the S Pen. It also ships with a scratch resistance Corning Gorilla Glass 5. The first ever Note device to feature the latest version of this protective glass. The S-Pen can be seen faintly, which looks exactly like the push-to-eject variant present on last year’s model. The home button ( which also serves as the fingerprint reader) is still located at the base of the front screen. The usual array of cameras and sensors is located at the back while the power button would is situated on the right side. The fingerprint sensor is just right of the dual rear cameras. The volume buttons are located on the left side of the phone. 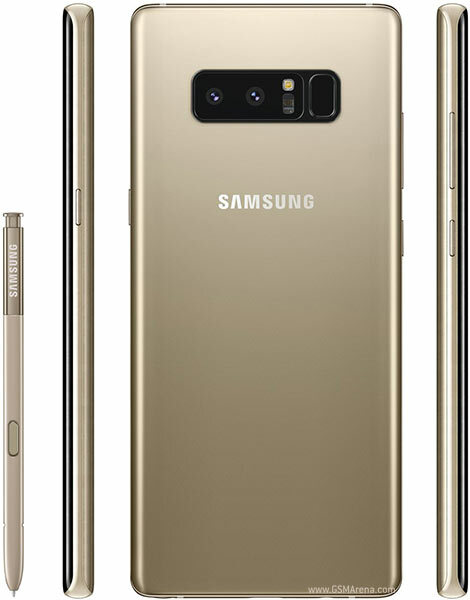 The option to choose from a variant of Midnight Black, Deepsea Blue, Orchid Gray and Maple Gold colors has been made available by the Korean Tech company. Lest I forget, the Samsung Galaxy Note 8 is both water and dust resistance. The Note 8 features a massive 6.3-inch IPS capacity touchscreen, bigger than most phablets in the smartphone market. It is massive but holding it in one hand is not too much of a struggle. The display is dual-edge Quad-HD (2960×1440, 518ppi) SuperAMOLED display. The Samsung Galaxy Note 8 is powered by 1.6GHz octa-core Qualcomm Snapdragon 835 processor and it comes with 6GB of RAM. Subsequently, games heavy with graphics feel light on the Galaxy Note8 because it supports Vulkan API. A new virtual assistant has been added to the series, Bixby. Interacting with Bixby is easy; It has a dedicated button on the left side of the phone, it listens to what you say and analyzes photos which were taken using the phone’s camera. The assistant gets more intelligent with usage; it gets to know your routine and the applications you use most. Samsung mobile has played it safe this time around and has placed a 3,300mAh battery to power the new Note 8. This will allow the user to takes up to 75,000 Photos continuously, Plays Videos up to 8.5 Hours continuously and standby time can of up to 300 Hours. The Note 8 also offers a premium and faster wireless charging and fast charging capabilities. The Galaxy Note8’s dual rear camera has a wide-angle camera that comes with the great low-light capabilities and a telephoto camera that gives you 2x optical zoom for you to capture the near and far. Both have optical image stabilization so you get steady shots even when zoomed in. The front side has an 8MP shooter taking care of your selfies and video calls. The camera settings also include a Pro mode, food mode, panorama and slow motion capabilities for that added touch to your pictures. Aside from the fingerprint reader, Samsung has introduced an iris scanner in the new Galaxy Note 8. In the lock screen and security settings you can see, there is a new option below Fingerprints called Irises. To set it up, all you need to do is position the phone 25-30 cms from your face with your eyes in the on-screen circles and let the front-facing scanner register your iris. You can also make use of the face recognition technology or simply use passwords and patterns to protect your device from theft. We have already established that the Note 8 can withstand submerging of up to 1.5m in water for an estimated 30mins. Feel free to try your phone in water. Cheers. 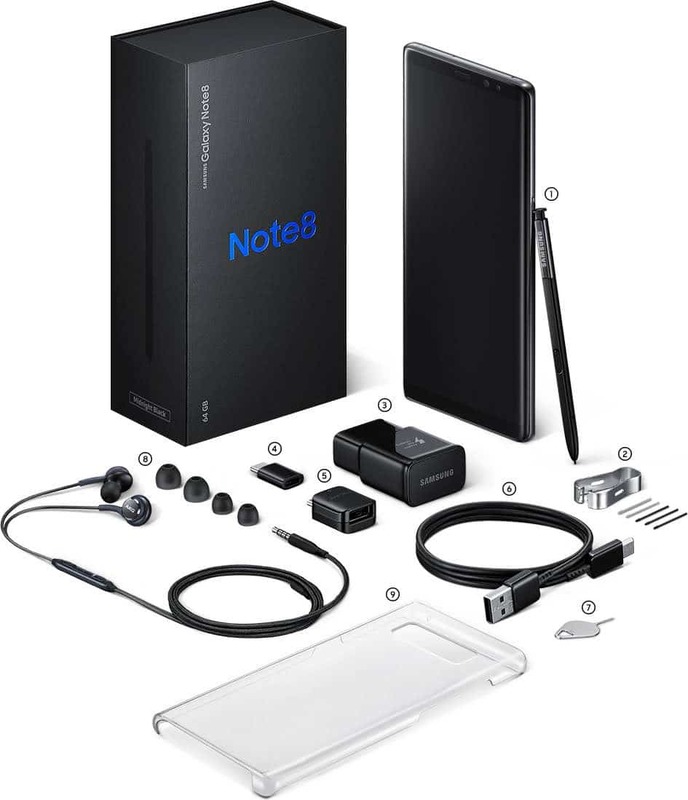 As obtained for previous Note device, the Samsung Galaxy Note 8 Price In Nigeria will range from N280,000 to N360,000. You can also expect the Samsung Galaxy Note 8 Price in Kenya to start from KSh62,000 depending on where you make your purchase. The price of the device is on the high side, but we expect nothing less from such a premium device. As already mentioned, the Samsung Galaxy Note 8 is powered by 1.6GHz octa-core Qualcomm Snapdragon 835 processor and it comes with 6GB of RAM. 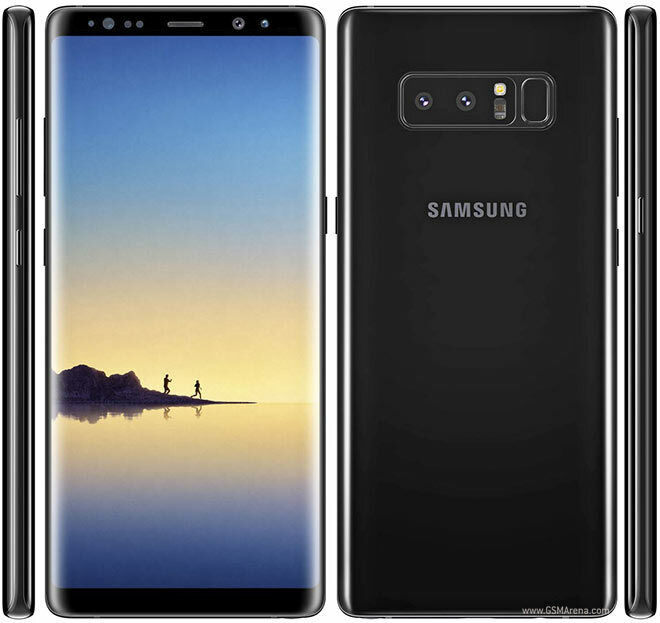 As far as the cameras are concerned, the Samsung Galaxy Note 8 packs a 12-megapixel dual camera on the rear and an 8-megapixel front shooter. The device has a lot of key features which will attract users and it also comes with SPen that has been further improved. The Note 8 is indeed a must buy.